As Lana Del Rey returns to Liverpool in the best way possible, Getintothis’ Jessica Borden was on hand to get lost in her world. Lana Del Rey took complete control of Liverpool last night with only her band and the entire Echo Arena behind her. It is a rare occurrence that there is no support band, but that is the case for Lana Del Rey, and the first stop of only two UK shows. 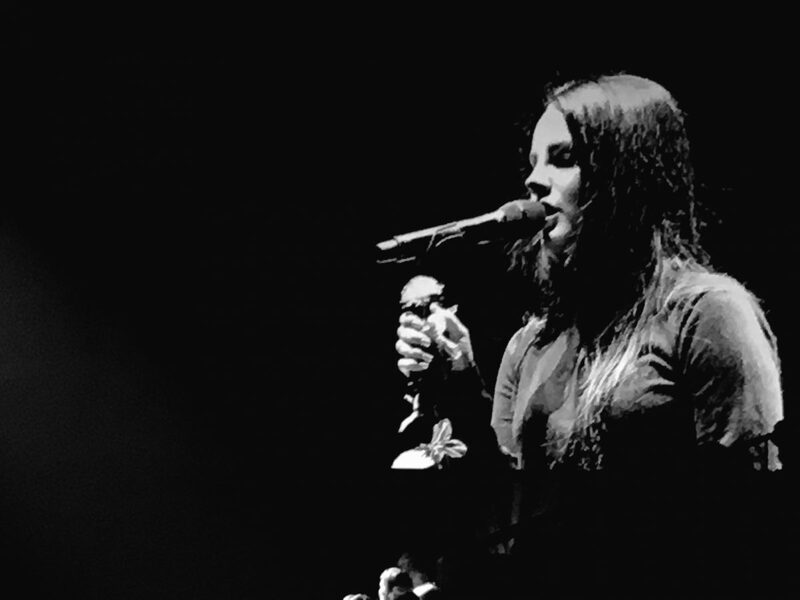 With a setlist that varied from classic fan favourites to her latest album Lust For Life there was no imaginable way this set could leave anyone disappointed or questioning the talent of Del Rey. The entire show was understated. From the jumper and jeans she wore to the choreography, stage setting and how spacious and shockingly roomy the arena felt, yet somehow this became an intimate gig. It recalled in some sense Bob Dylan‘s bar room-style Arena set earlier in the year. 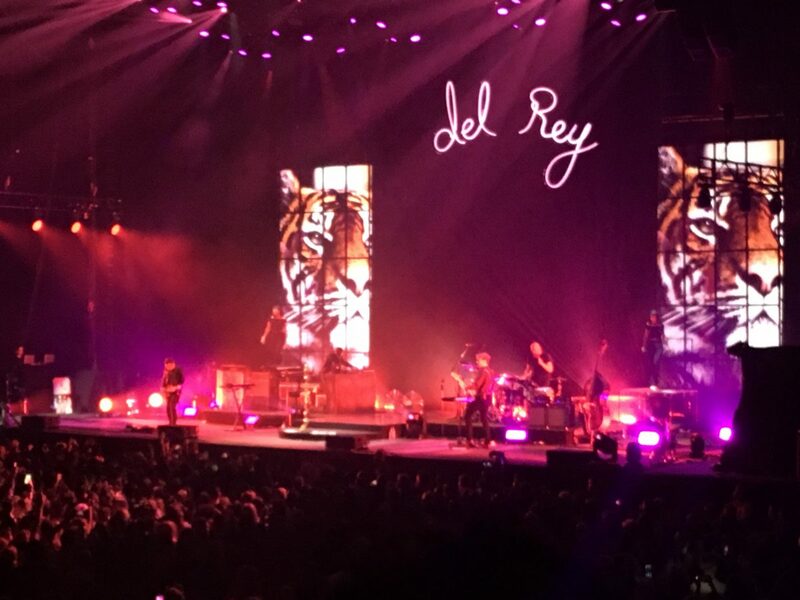 For an hour and a half it was just us and Del Rey singing along to songs we love and being drawn into her world as the visuals played on the screen – taking us to each whirlwind tune, one after another. The heartbreak of which she sings feels just as painful now as when we first heard it and her love for her fans pours out from the smile on her face to when she goes to the front of the crowd to hug, take photos with fans and sign things for them. 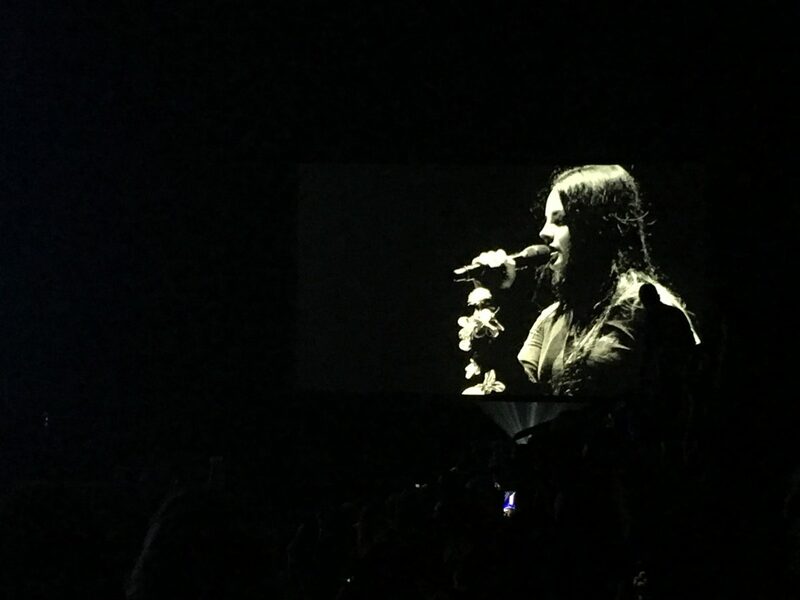 A beautiful moment consisted of a piano ballad Change from her latest album Lust for life which captured the entire audience with just the focus of her stunning voice. This was further proved by the acapella version of Love which was close to being heart-wrenchingly beautiful as you can’t help but watch in awe of the woman taking command of a stadium with only her voice. From Born to Die and Video Games to Ultraviolence and Ride the entire night felt like we had suddenly been dropped into the world we dreamt of when listening to her albums, suddenly we were one of the characters in her stories and could run off with a motorbike gang or a wealthy Hollywood star in a moments notice.